APlus Net Solutions is a top San Antonio SEO company because we understand the importance of have a responsive Website. Wait a minute the title of the Blog post is about Mobile friendly yet our first sentence was about “responsive”. That’s because Responsive is the name of the technology that allows a website to work correctly regardless of the device that is being used. Up until several years ago companies had to actually develop 2 websites – one for desktop, and one for mobile phones. Responsive technology solved this problem but forever changed the process for designing and building websites. The first big change is that every element of the website must be dynamic and must adapt itself on the fly to the device type that is being used. Pictures must adjust themselves from small to large. Text must adjust itself from small to large. Understanding how all of the elements work together is key. 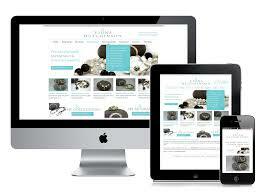 This responsive technology has now become crucial for SEO rankings. Google has announced in March 2017 that all their algorithms will be Mobile First. This means that the rules for ranking in Mobile will now be the primary way that Google views websites. Mobile First is the single biggest change that Google has made since announcing response times were important back in 2010. Few people actually understand that Google has a separate Search Engine for Mobile Phones vs Desktops. The rules are different and the layout of the Search Results is significantly different. Make sure that your San Antonio SEO company or your San Antonio web development company delivers your website and the responsive improvements that are required for rankings.